With latent human capital x 7.7 billion, how can we most creatively catalyze local knowledge, innovation and passion for the greater good ? By sharing critical tools to achieve the 17 Global Sustainable Development Goals (SDGs) and linking a g(o)local movement to Transform the World by 2030. Rather than fly thousands to one venue, The Global Summit’s transformative, solution generating platform is a call to action to make it’s impact ripple–from wherever you are. To ignite critical mass solutions leading up to 2020 and beyond, we are working with our Partners In Empowerment to bring you 1PIE a virtual accelerator providing exposure; catalyzing collaboration, and tracking progress throughout the year. Are you doing something to build a thriving world? 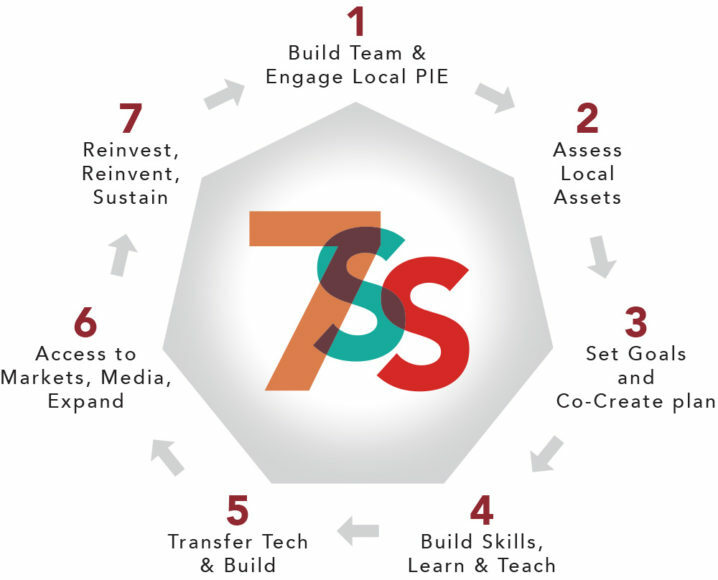 Accelerate your impact with our latest [7 Stages to Sustainability (7SS) Toolkit]! Register in Alpha.1PIE and put it to use to become a legacy member! ** Technology, Policy, and On-the-ground solutions by Individuals, Non-profits / NGOs, For-Profit Businesses, Governmental Agencies or Public-Private Partnerships (Hybrids) are all invited! By sourcing what works locally, catalyzing innovation, and sharing outcomes world-wide, summits serve to exchange solutions, ideas and appropriate technologies within and between engaged communities.